In the Inuit language, “tukilik” is used to define an object that carries a message, and the northern landscapes are densely populated with such objects. 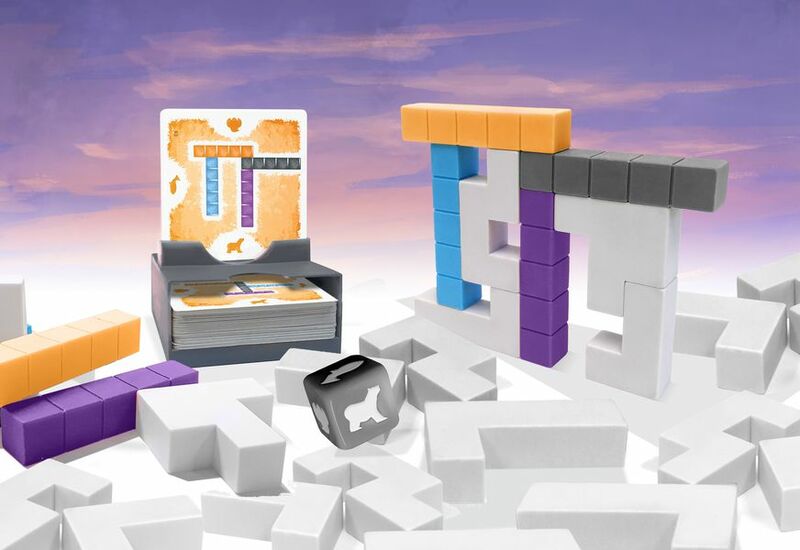 The most well known of these are the inukshuk, that is, structures of rough stones traditionally used by Inuit people as a landmark or commemorative sign, with the stones often being stacked in the form of a human figure. 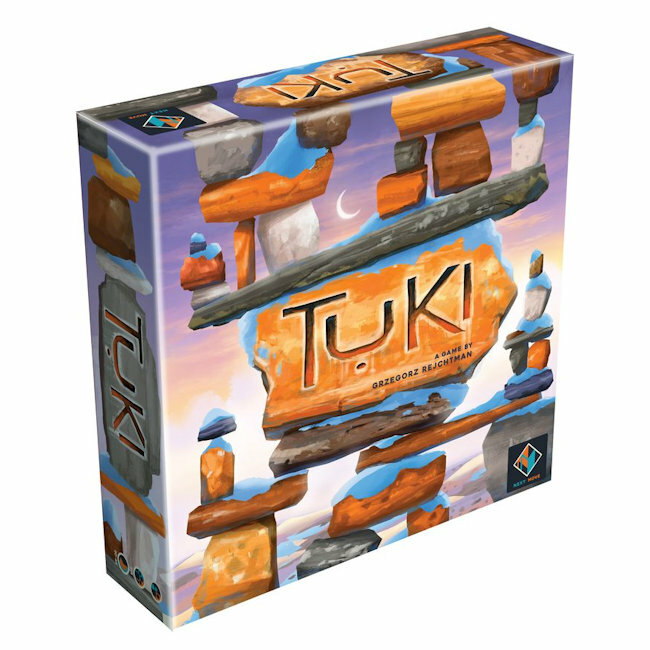 During each turn in Tuki, you attempt to construct an inukshuk based on the die face rolled using your stones and blocks of snow. Players have only a limited number of pieces with which to construct the inukshuk, so you’ll need to be creative and use the three-dimensional pieces in multiple ways, such as to counterbalance other pieces or even build on top of existing pieces. A solution always exists — you just need to discover it!